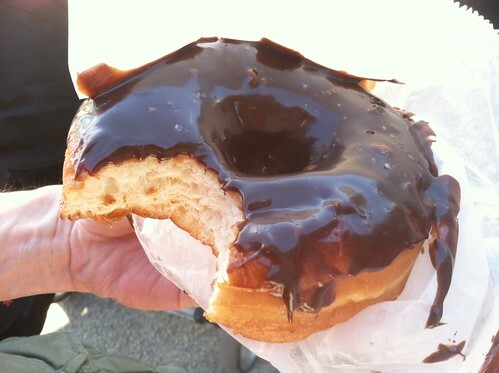 Dough's Earl Grey chocolate doughnuts are easily among my all time favorite doughnuts but apparently they are seasonal. This time of year they have Salted Caramel Chocolate doughnuts, which is exactly what I went for. It was, as you might imagine, epically delicious. The chocolate/caramel frosting was gooey and amazing. I'm only sort of ashamed to admit I licked the wrapper clean. While Earl Grey still reigns supreme in my book, if I can be with the doughnut I love, I'm going to love the doughnut I'm with, an easy task when said doughnut is this good.